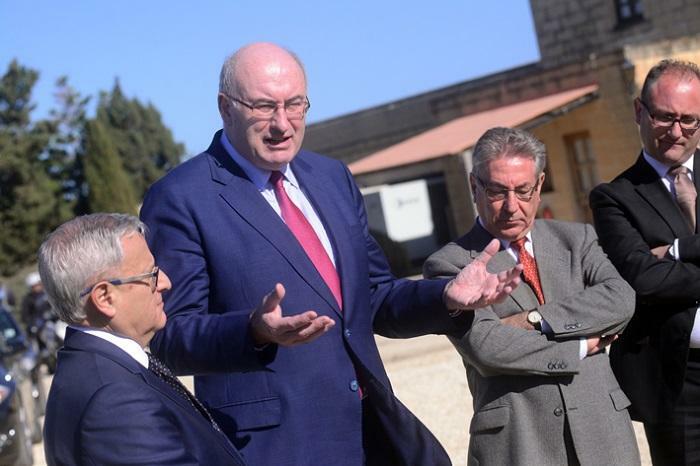 “Malta faces unique agricultural challenges”; these where Phil Hogan’s words during his short visit in Malta earlier today. In the morning, the EU Commissioner for Agriculture and Rural Development met the Hon. Minister Mr. Leo Brincat and Parliamentary Secretary Mr. Roderick Galdes. The Maltese Commissioner Mr. Karmenu Vella was also present during the visit. Several agri-food stakeholders met Commissioner Mr. Phil Hogan at Dar L-Ewropa in Valletta to share their views. The uniqueness of the islands was discussed in the light of challenges being faced. Later on, the Meridiana Wine Estate in Ta’ Qali was visited. One positive highlight of these important meetings was that agriculture and the environment need to, and can, go hand in hand. The CAP and its recent changes were also outlined. Last but not least, the Commissioner Mr. Phil Hogan said he had got the impression that additional attention needed to be dedicated to the difficulties faced by smaller producers in Malta, particularly in terms of implementation of the CAP.